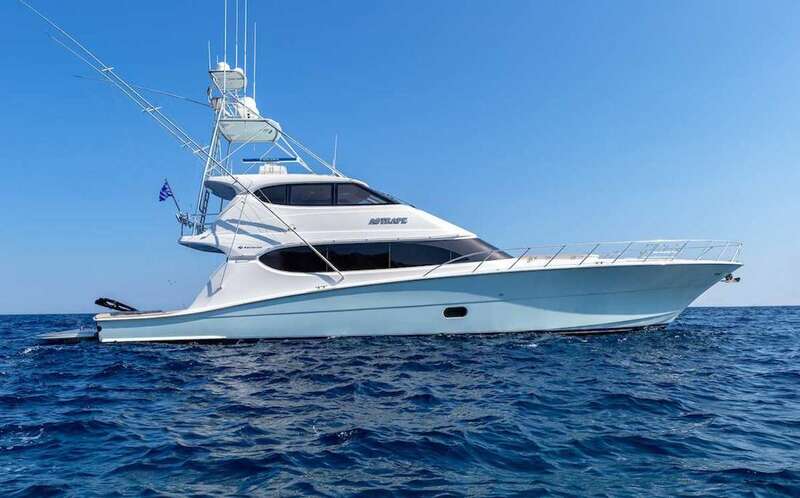 Hatteras 23.4m/77ft sports fisher ASTRAPE was built in 2008 and last refitted in 2016 with a contemporary take on timeless interiors. 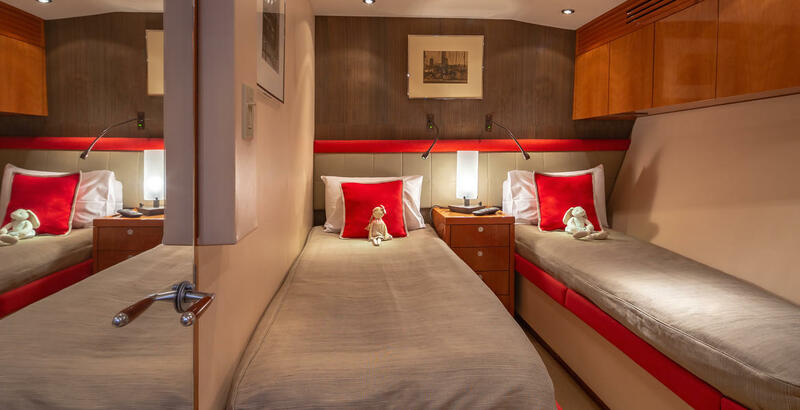 The accommodation sleeps up to eight guests over four cabins with a crew of four to provide an incredible holiday experience. On the bow, there is a raised platform where guests can watch the changing scenery from the sun pads. 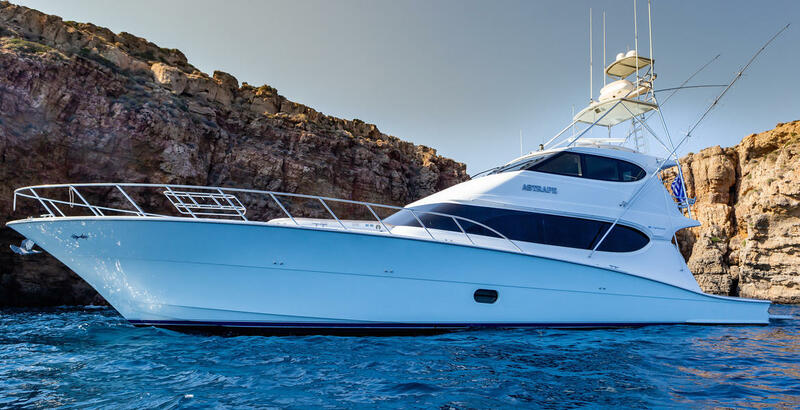 The luxurious main deck aft has a love seat and an additional single seat immediately outside the main deck aft and there is a ladder for quick external access to the upper deck aft. 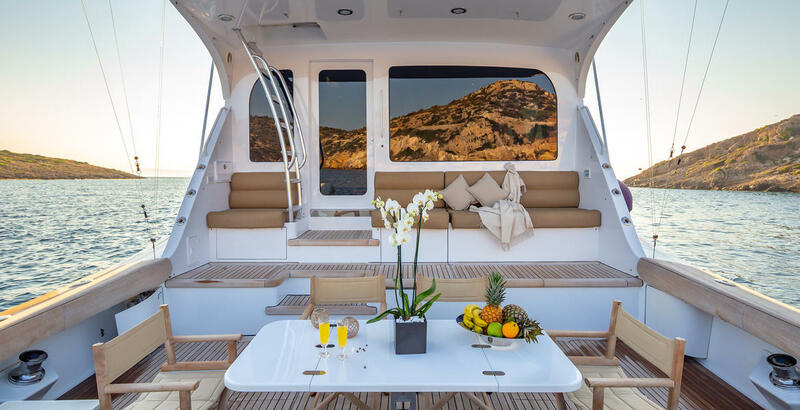 The lower section of the main deck aft has a stern sofa, an alfresco dining table and additional chairs for outdoor living in the sunshine. 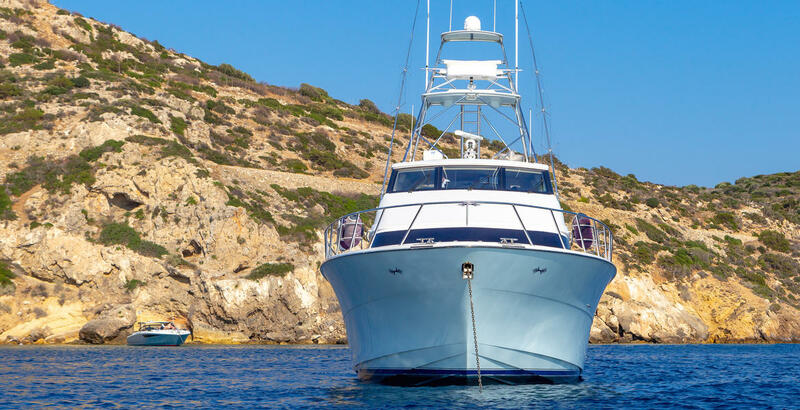 The upper deck aft has additional seating and facilities for fishing spending time socialising outdoors. 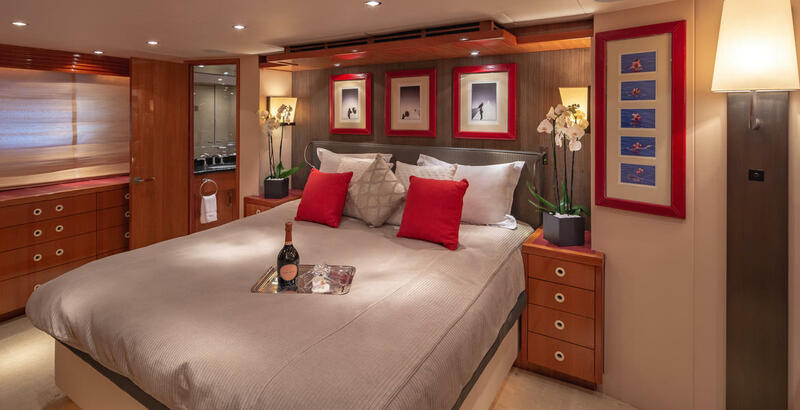 The lower deck hosts the guest accommodation of a Master suite, a VIP stateroom, a double cabin and a twin cabin to sleep up to eight guests. 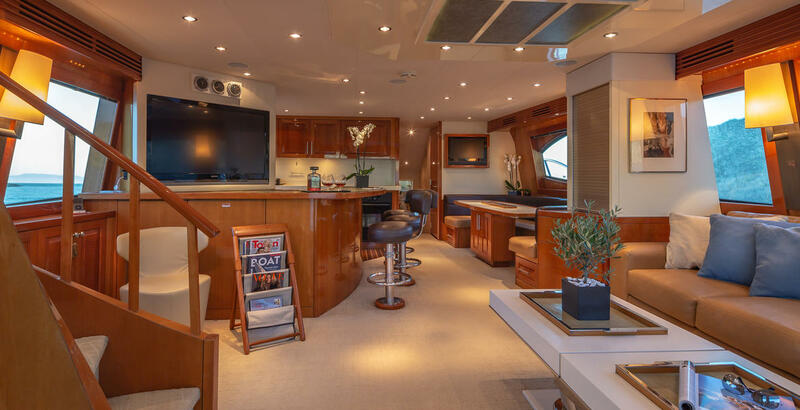 On the main deck, the sizeable salon is fitted with a breakfast bar/galley and a massive wall-mounted widescreen TV, opposite of which is a C-shaped sofa and raised table enjoying excellent views out of the windows and with its own smaller TV integrated into the wall. Another sofa and a coffee table is placed along the wall opposite the staircase leading to the upper deck. The upper deck is a smaller, cosier environment with excellent elevated views from the inside and an L-shaped sofa with a high table for casual meals and drinks together. 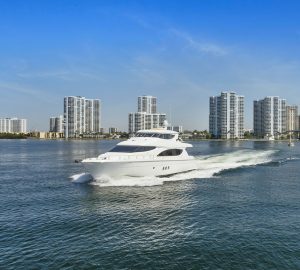 A pair of MTU 16V 2000 CR engines producing 2,400 HP each allows for a cruising speed of 22 knots and a top speed of 32 knots. 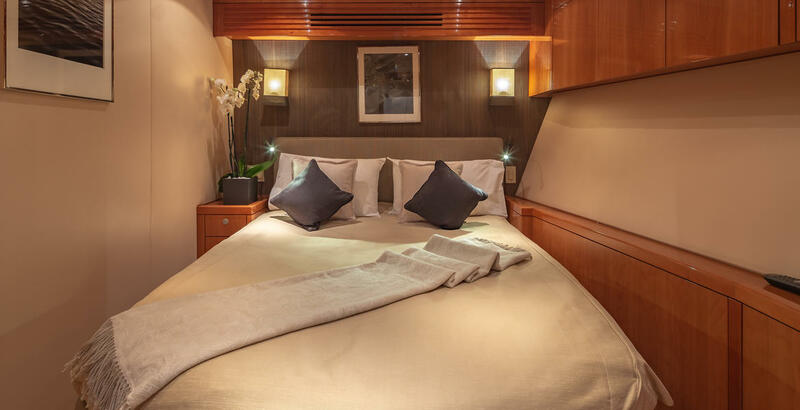 The accommodation sleeps up to 8 guests over 4 cabins: 1 Master suite, 1 VIP stateroom, 1 double cabin and 1 twin cabin. The professional crew of 4 will provide first-class service to all guests throughout the cruise.